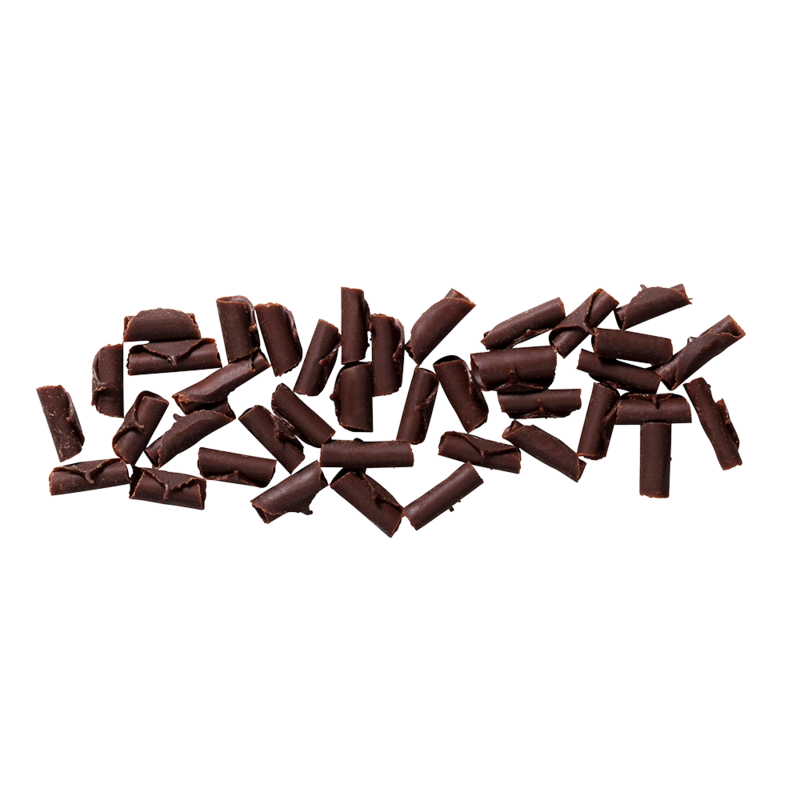 The ultimate chocolate sprinkle. 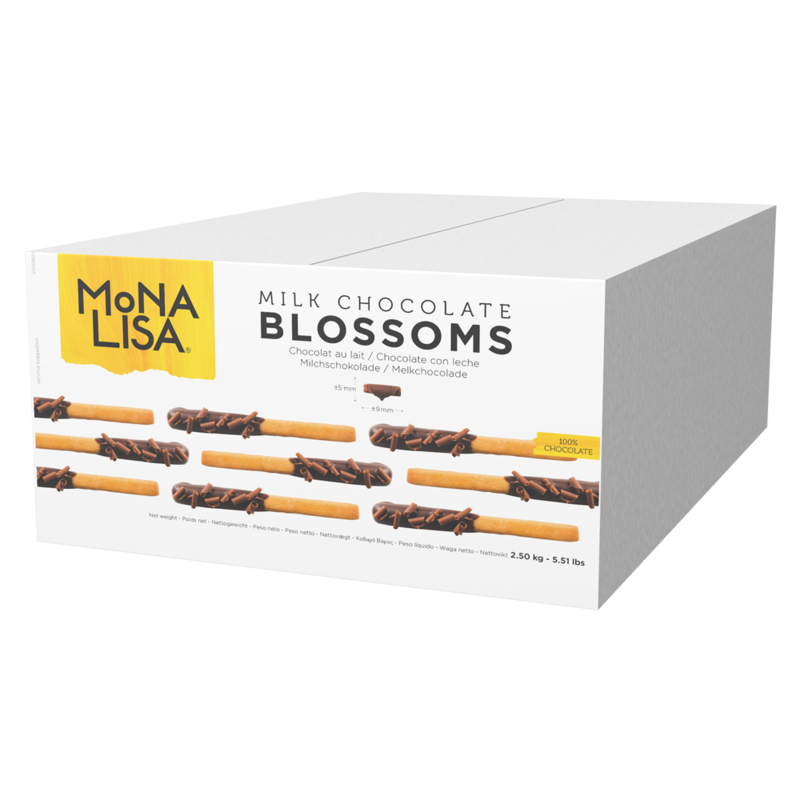 Milk Chocolate Blossoms are the perfect decoration for almost all desserts and patisseries. 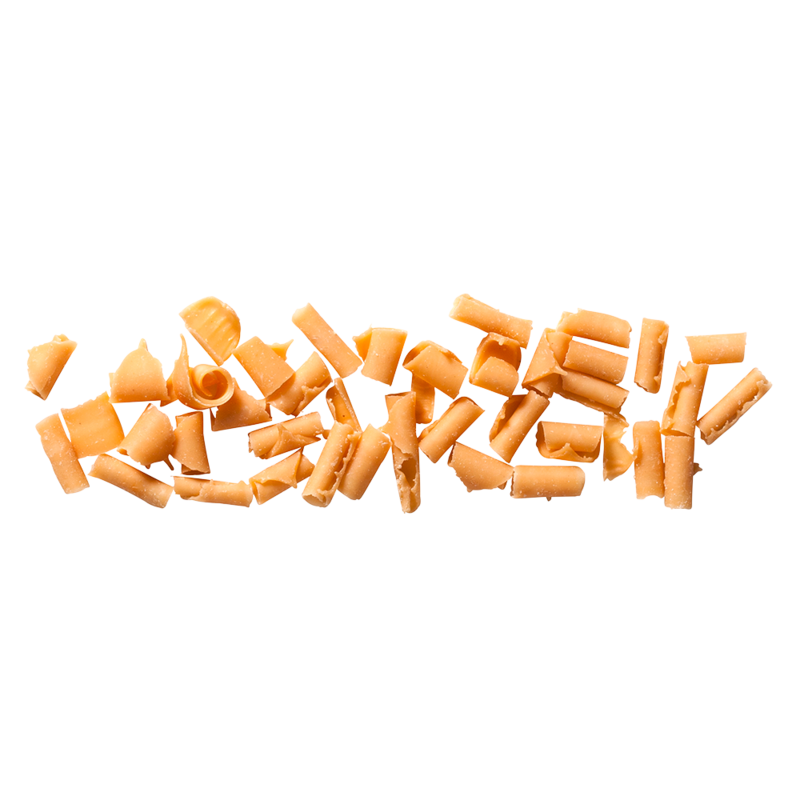 Because of their elegance, these tiny curls look and taste great on plated desserts, pastries and even ice-cream. Approximate size L: 9 +/- 1,5mm, W: 5+/-1mm.